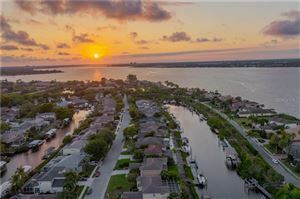 The Gated Neighborhood of The Inlets in Bradenton is a planned luxury coastal community that underscores the great quality of life that can be found in Southwest Florida, one of the best real estate markets in the United States. The focus of The Inlets is on providing a unique residential lifestyle experience. There are three neighborhoods within The Inlets: Bella Sole, Harbour Walk and The Reserve. The exceptional design of The Inlets ensures that all home shoppers looking for a waterfront residence will find it in any of the three neighborhoods. The two home developers, Arthur Rutenberg and Medallion Home, have done their best to design a breathtaking community that takes advantage of the natural beauty of the Manatee River, its canals, estuaries, lush plant life and abundant wild species. Boaters, fishing enthusiasts and nature lovers will delight at the lifestyle provided by The Inlets. It may be hard to choose from all the available home designs inspired by Caribbean, Mediterranean, Nantucket, and Sarasota styles. For those looking for worry-free living, the Bella Sole Courtyard offers maintenance-free living with reasonable quarterly fees. Home shoppers looking for something more palatial can choose residences at The Reserve or the luxurious Harbour Walk. These two neighborhoods offer far grander waterfront amenities, such as private docks and boat launches that can take sailors out to the sparkling waters of the Gulf of Mexico. Homes at The Inlets range from the modest to the stately. A three-bedroom and three-bathroom home starts at $250,000, while a splendid estate sitting on nearly 4,000 square feet with five bedrooms, four bathrooms and a private dock is closer to $1.5M. As expected, many of the amenities at The Inlets are centered on nature and aquatic activities. Private spots for kayak launches, fishing, estuary trails and observation spots are located within the community. The neighborhood is surrounded by tennis clubs and golf courses. The suburban comforts of shopping and dining are just outside of the main gate on Manatee Avenue, and families with school-age children are served by the following schools: William H. Bashaw Elementary, Carlos E. Haile Middle, and Braden River High. Please contact me when you are ready to tour The Inlets in Bradenton and preview a few of the gorgeous homes for sale. 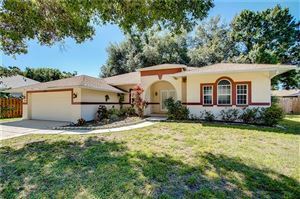 See all The Inlets Bradenton Florida Homes for Sale.